On 19 May 2019, Gordon Castle in Moray will host their annual Highland Games. Castle owners Angus and Zara Gordon Lennox have added a new feature this year – a gathering of Gordon Setters, to highlight the plight of this Vulnerable Scottish breed. 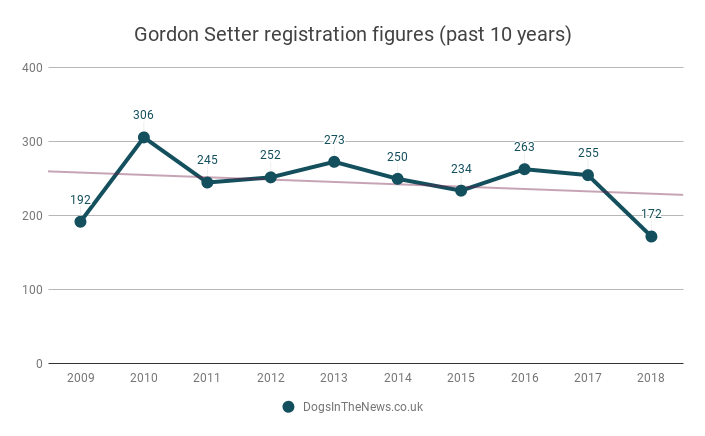 Gordon Setters have been on the Kennel Club’s Vulnerable Native Breeds list – meaning they achieve 300 or fewer registrations each year- since 2011. Just 172 were registered in 2018 (compared to 36,526 Labradors in the same period). The Gordon Castle event aims to change this. “The Gordon setter breed was developed in the late 18th century by my ancestor, the 4th Duke of Gordon, on this estate,” Mr Lennox explains. “We still have the original kennels the dogs were bred in at Kennels Cottage, now available as a holiday rental. So, in an effort to raise awareness of the dog breed, the couple have invited Gordon Setters and their owners to join them at 12:00 pm on 19 May 2019, as they attempt the largest gathering of their eponymous breed. The event is not the first of it’s kind, but it is an excellent idea to promote this forgotten British gundog, and preserve it for generations to come. We hope to be able to report on the event’s success in the future. The heavyweight of the Setter breeds, the Gordon takes its name from the Duke of Gordon who introduced the breed in 1820 at Gordon Castle in Scotland. Although the present day Gordon Setters are black and tan, in the mid 19th century many of the dogs in the Duke of Gordon’s large kennel were black and white or black/white and tan, as it was felt that these colours were easier to pick out when working. 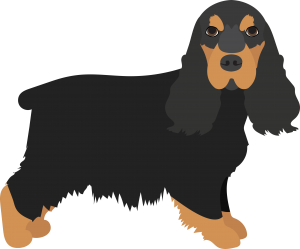 Selective breeding has now, however, established the Gordon as the black and tan setter. Dogs that were originally trained to find live game and/or to retrieve game that had been shot and wounded are classified as Gundogs. This group is divided into four categories – Retrievers, Spaniels, Hunt/Point/Retrieve, Pointers and Setters – although many of the breeds are capable of doing the same work as the other sub-groups. They make good companions, their temperament making them ideal all-round family dogs.